We look forward to helping you with your request. Please contact us by the method of your choice. We answer messages as quickly as possible. We are 2 minutes walk from the M1 metro and T2 tramway stops “Réformés Canebière”. 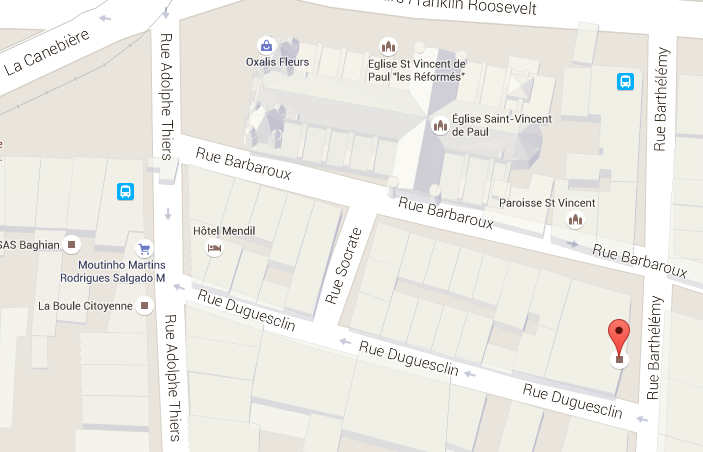 To access our venue, go up La Canebière and leave the Reformed Church on the left. We’re right behind you. We are also 100m from the Plaine.